Beginner’s Guide to VPN – What is a Virtual Private Network? 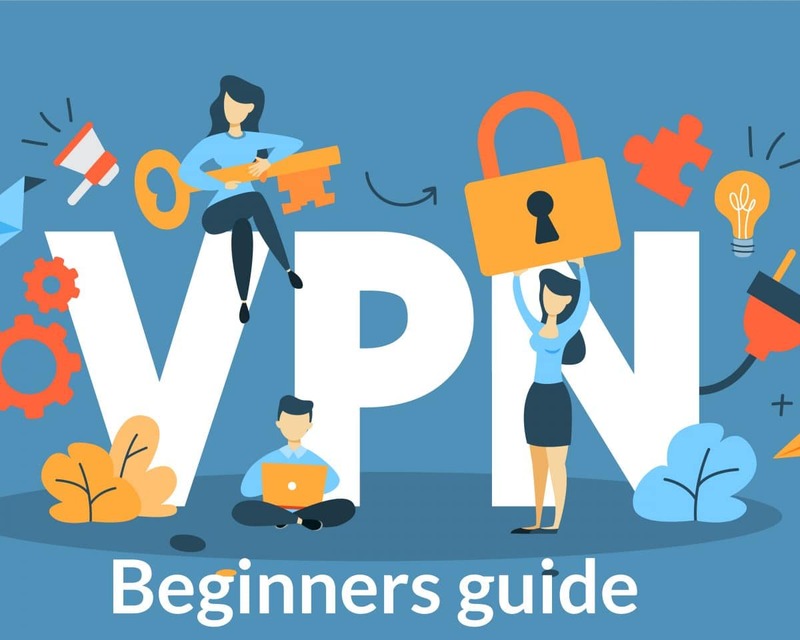 Mandee Rose	● Posted on March 26, 2019 April 18, 2019 ● Leave a comment on Beginner’s Guide to VPN – What is a Virtual Private Network? Virtual Private Networks (VPNs) first came about for use by companies as a means to secure company sensitive data with commuting employees from remote areas, such as when one employee is not at the work office, and still needs to get work done from home. This would require accessing files stored in the office database, but the user would have used their own ISP, leaving the file transfer process vulnerable. To protect the transfer of such sensitive data, these types of file transfers would need to be done as securely as possible- and this is usually where the VPN comes into play. What are Virtual Private Networks (VPNs)? A VPN allows you to access the internet via a VPN provider, through the use of one of its servers, which are available to the user on a monthly or annual fee basis. With the use of a VPN server, the data that is now being sent from your computer or tablet to their VPN server is considered to be securely encrypted in a tunnel. VPNs essentially create an encrypted tunnel between the chosen server and your computer. The data itself is not encrypted, but the channel is.As a result of this encrypted channel, the user can now enjoy privacy, skirt censorship, circumvent geo-restrictions, shield against hackers in a public WIFI hotspot, or allow safe use of P2P downloads. VPNs are provided by Virtual Private Network service providers, and are available in a wide variety of uses for commercial purposes. The user subscribes for the service provider, usually for a $5 monthly or an annual fee, depending on the package chosen. The VPN service provider will also ask the user to agree to their Terms of Service, which you should read very carefully before subscribing. However, you should know that to use a VPN service, you still need to retain the services of an internet service provider (ISP), from where you gain your primary internet service connection. The ISP does not replace the VPN Service Provider. Rather, they are used in conjunction with each other. Do you see your real IP address or one belonging to your ISP? If you do not, your VPN is working properly. If you do, your VPN is leaking your IP. If your VPN is leaking your IP and you haven’t found a solution, consider trying another VPN service instead. The VPN allows users to “hide”their physical location and cloaks the user’s real IP address so that hackers cannot track the user’s activities online. At the most basic level, it offers an additional layer of security. Evade censorships and web filters created by countries, schools and universities. Greater Privacy while browsing online through an additional level of security and data that doesn’t pass unencrypted. Access geo-restricted content from around the world, allowing the user to view their favorite TV show or movie, while located outside of the country of origin or distribution. Full access to streaming content, such as that provided by HULU or Netflix can be obtained through the use of a VPN service. The VPN server you choose will grant you rights in order to view for your entertainment pleasure, effectively masking your real IP address to that of the server you choose. This way, you would appear to be viewing your favorite T.V. show or movie from the country of origin, and not subject to any of the geo-restrictions in place. Why are geo-restrictions in place? The answer to this question is a little complicated, but essentially boils down to media distribution rights. If you subscribe to a viewing service in one country and are travelling to another, the use of that subscribed service may not be available for viewing in your vacation destination. Your vacation destination country simply does not have the media distribution rights; essentially, whole countries and continents are blocked this way. Rights to view original streaming content are described in your Terms of Service when you subscribe, and although you may not agree with them, you do need to abide by them. But, where there’s a need, there is opportunity. Hence, the wide-spread global popularity of the VPN service. To establish a connection to the internet, the ISP serves asthe gateway to the internet. That part doesn’t change. Through your internet service provider, you are able to browse and connect to website, and all of your browsing activity is usually able to be seen by them in return. Through the use of a VPN, your ISP is not able to view your data or the sites you have visited, as the VPN server is hiding your internet activity. They are only able to see that you are connected to a VPN service. Secondly, for all intents and purposes, your IP address is that of the connected server, offered to you by the VPN service provider of your choice. Most of these VPN service providers are located in different countries around the world. If you are using a service located in any one of these foreign locations, then it appears that you too are also located in the country of the VPN server you selected. Hence, this makes it easier to by-pass geo-restrictions. Furthermore, anyone tracking your internet activity will only be able to track you to the VPN server, keeping the real IP address of your PC or tablet hidden to the outside world. The websites or the places you visit online will not be able to see your true IP address, only the server you choose will. Setting up your VPN is easy. If you need more detail than our instructions provide, you can research different tutorials based on your OS (Operating System). Enjoy browsing the internet in a secure and private environment! The dangers of the internet are not limited to viruses on your PC or tablet. They can also mean hackers gaining access to any data you send, some of it may be sensitive and usually it is also unencrypted. In these situations, the use of a VPN is usually recommended when using public WIFI hotspots. Even if prying eyes manage to steal or view your sensitive information, at least with the use of a VPN service, it will be encrypted. The VPN service provider is still privy to your activities online, even if the VPN service protects your data from hackers on the Public access WIFI hotspot. Some VPN service providers are taking it upon themselves to further protect your online privacy through their “No logs Policy”, which we will discuss about later. As a consequence of using VPNs, and depending on the processing power of your PC or Tablet, your internet will slow down. This technically means that the stronger the encryption used to secure your data, the slower your internet access will become. You really have to weigh the pros and cons, and decide if the added privacy is worth the slower connection, or vice versa. The slower speed may be caused by the extra distance your data has to hop to connect to its final destination, through the use of a server. The server, depending on its world-wide location, adds another stop in its journey. So, ultimately it takes longer because it travels a longer distance between your ISP and the server you’re connected to and then onward to its destination. Hence, the delay in response time. This is where you should be careful in connecting to a VPN server. If you want to minimize the slower speed and performance, then choose a VPN server (there are a multitude to choose from) closest to the website you wish to access. Otherwise, the VPN server closest to your geographic location should be used for best performance. Does a VPN Improve Internet Speed? The user can expect at least a 10% deviation from normal expected performance. Some VPN providers also have genuinely better performance, measured by Speed Tests, due to variability in available bandwidths and the number of other subscribed users. Therefore, some providers offer better performance than others and may also have a higher monthly or annual fee. Depending on your need and level of service you require, the general rule of thumb is to stick to the server closes to your geographic location or the home country of the website you wish to access. We have a legal right to privacy, depending on the country you live in. However, to what extent doesitapply to the internet? Even though there are countries that try to define the limits of our privacy, the use of any specific VPN service is not illegal. Countries, such as Turkey and China, however, have tried to ban their use among its citizens in the past and present, as they want to be able to view and survey the data that might pass encrypted for their own specified or unspecified purposes. Additionally, they also try to prevent access of users through VPN services overseas. Threats of Terrorism and Mass Surveillance are very real, especially in reflection of past events of 2016. The European Union and the United States, two of the biggest super powers in the world, have been known to trade user right to privacy while online with some of their mass surveillance projects. The Federal Communications Commission also recently tried to define the limits of what ISPs can and cannot collect in the U.S. The FCC has advocated for greater consumer protections and to further protect online privacy of users against ISPs. European countries, however, have clearly defined laws where VPN providers maintain logs of online activity. Users should look elsewhere for VPN services if they are looking for a completely private online service, as those countries have made it a legal requirement to maintain logs. Where do I get a VPN? There is a wide variety of VPN services available to buy and download through APPs, and they’ve all got their pluses and minus points. Some are clearly better than others, while some are known to offer better features than other. If you’re looking for recommendations, there are VPNs for each country, by price point, and for different devices. We even offer a vpn comparison tool. In a sea of recommendations, what are the deciding factors? Pricing:The subscription price is a very important factor- it cannot be ignored. Usually, if you buy the service for six months or greater, the pricing packages offered are far more attractive. Speed and Performance: Due to the encryption of data over the distance travelled between PC and VPN server, speed is likely to suffer. However, overall performance shouldn’t be too painful for the user. Privacy- If you’re specifically looking to enhance your privacy online, the use of a VPN is integral. But does this also mean anonymity? Wait for our discussion on this later below. Security: Security against threats, such as hackers, should be additional technical measures offered by the VPN service Provider. Number of countries covered and the number of servers offered: The location of the servers is integral to optimum speeds. So, the greater the number of servers located around the world, the more likely they have what you’re looking for. Add on Features: Such as DNS leak protection and VPN kill switch. Cloud Storage: Who doesn’t need additional storage space? Don’t forget Customer Support, especially if you’re a newbie. There are plenty of service providers who make it easy for you to access technical support, should you need to do so. This alone can be the difference between satisfaction and frustration. Don’t let the list intimidate you. Most reputable VPN service providers make it easy to select based on the comparison of reviews also found on this website. Recommendations based on use, country, pricing/packing, and service performance are listed on our blog. There is a Windows VPN for PCs and laptops; VPN for IOS, VPN for LINUX, and VPN for Mac, Android and IPhone. VPNs are also compatible with some routers. Free VPN services: Do they Work? Free VPN services are offered to consumer, but it is really a case of “You get what you pay for”! A free VPN service would be severely limited in functioning and features. However, if you’re looking for maximum privacy and security with optimal performance, a commercial VPN would be your best choice. If you’re looking to use the service for accessing geo-restricted content or just adding an extra layer of encrypted security, then it’s worth it to pay for the full-fledged premium version, instead of the free service. Anonymity is not something that is guaranteed with a VPN service. Even if your ISP doesn’t know what you’ve been up to on the internet, the VPN service provider does. VPNs, however, do promise privacy, which is a realistic expectation as most VPN service providers go to great lengths in safeguarding user privacy, especially if they offer a “No Log Policy”. If they keep logs, then there is no guarantee they won’t be forced to hand over the data they’ve stored to authorities. Therefore, it’s in the user’s best interest to look closely at any claims of “Privacy” guarantees and whether or not they have a log policy. However, if the VPN service provider promises a “No Logs Policy”, we have no choice but to take its word for it. It also comes down to trust- whether or reviewers trust the VPN service provider. What is a “No Log Policy”? VPN service providers that are truly concerned with safeguarding privacy of their users will offer a “No Log” policy as their plus point. Ideally to protect against widespread mass surveillance, wiretapping or to escape the clutches of the NSA, a log-less VPN service should be preferred. International cybersecurity laws are getting tougher on protecting user privacy, but so are the numbers of threats. What are usage and connection logs? Like we previously stated, even though some providers promise to follow a strict “No Log” policy, that doesn’t mean that there is complete privacy for users online. Protection against abuse from spam, DDOS attacks, malicious users, requires minimal logging and monitoring. Even to provide a better service, some monitoring and tracking would be needed to fix lower level service issues to prevent bigger outages. Also, what happens if the user calls customer service to complain about application issues or speed performance? For this reason, and to provide a reliable performance, it is necessary to keep “connection” logs. This implies that the VPN service provider is keeping track of your connection start and stop time, total number of bytes used, IP address used by the user, and customer source IP address (assigned to the user by the ISP). However, there are no “Usage” logs. This means they are not able to collect metadata on the content of your communications. This includes no history of the websites you visit, your physical location, the services you use online or any collection of personal information. That is the crucial difference between connection logs, which are a necessary tool, and usage logs, which contain content of your communications. Even if a VPN service provider doesn’t offer a “No Log” Policy, it still might be employing real time tracking of your online activities. That part is almost understood, as real time tracking aids in keeping up with technical issues that might arise. However, as proven by Chinese authorities last week, countries can demand that service providers start to keep logs, without even informing the user of a change in policy. Some VPN service providers offer dedicated IPs that provide personalized security while others provide some degree of anonymity through “shared IPs”. A dedicated IP is an assigned IP that is for the use of the subscribed user only. No other user would have this IP, allowing the user to have a secure IP while logging onto secure websites, such as secured banking or IP restricted servers/websites. The face that the server you choose will mask your real IP can also mean that you’re sharing an IP address with someone else out there. Shared IPs, however, mean some degree of anonymity. This is probably because a shared IP address would make it more difficult for any hackers or surveilling authorities to track internet behavior of any one individual. Especially, if the provider were forced to release any connection logs connected to any one specific user. Bitcoin, introduced in 2013, is a virtual form of digital currency for those who might not trust the traditional banking system. It is used to buy things electronically, and it’s pretty fast compared to a check, for example. However, since it is traded, it fluctuates like the dollar and the Euro. But one unique characteristic of this digital currency is that no single institution controls the Bitcoin network, is that no one banking system controls the current, instead it is decentralized. Accounts are transparent and easy to set up. Users seeking VPN services solely for privacy should use Bitcoins to pay for their service. It is far more difficult to associate Bitcoin wallet accounts with the user’s real identity. This will secure the user by adding an extra layer of privacy and to some degree- anonymity, as the VPN service provider would not be able to track your real name, address or credit card information. ExpressVPN is one provider that accepts Bitcoin, and also follows a no log policy, with additional features such as automatic kill switch, Smart DNS service, anti-DDOS protection, and double data encryption. Any VPN service provider that claims to have a “No Log” policy is probably a safe bet to use for commercial purposes, but can still be subject to government wide-spread surveillance, depending on your country of origin and their political agendas. Even though VPNs provide a great deal of privacy, they are not anonymous. However, VPN services will give the user the access they need to download, stream or view content that is geo-restricted. To a greater degree, a VPN service will also protect the PC, tablet, IPad, and https://www.vpnanalysis.com/best-vpns-list/your mobile devices from government surveillance, such as that of the NSA or the UK authorities attempt to gain, disregarding privacy concerns. More and more VPN providers offer bonus add-on feature such as spam blocking, firewalls, kill switches and even anti-virus protection to bolster the safeguards already in place on your device. However, sing a VPN will hide your IP address as long as there are no IP leaks. Although most VPN service providers claim to have a reliable smooth performance, a drop in service is inevitable. The service connection might occasionally fail, exposing the real IP address of the user, without their knowledge. In this case, the presence of a kill switch is paramount in monitoring the internet connection and shutting it down when the VPN drops out of service. The presence of a “Kill Switch” is usually installed with the VPN software. If your only interest is bypassing geo-restrictions in order to watch streaming content, such as HULU or Netflix, then you are better off with using a SmartDNS service instead. The difference between a VPN and a SmartDNS is that the data being passed is never encrypted, leaving the connection vulnerable. This will also result in a faster connection, ideal for streaming services. Remember, the compromise here is privacy of the secured tunnel provided by the VPN service. The user will also face a smoother running stream, and lesser buffering. The SmartDNS is also able to be configured to many internet devices that would normally not be VPN compatible. VPNs are not able to be configured for Smart TVs, media steaming devices, or game consoles. VPNS services are available through apps stores or for simple download on all IOS and Android mobile cell phone devices. There are various providers who offer VPN services for mobile device and with several add-on features included. Using a VPN on a smartphone is a pretty smart move, considering they provide an added layer of privacy and mobile security isn’t compromised. If you frequently connect to public open access Wi-Fi, use your mobile devices to conduct online banking transactions-such as bill payments and online shopping-or have confidential data archived on your device, such as pictures and emails, or use your mobile device to place calls or video chat (on Skype, WhatsApp, Viber), then a VPN encrypted server is something you should use. Be sure, however, to pick a service that offers servers closest to your geographic location, and doesn’t restrict your bandwidth or define your downloading limit. Let’s be clear- A VPN service is not going to offer the user anonymity. Those that claim to do so are misleading the user. They do, however, offer significant coverage in better protecting user privacy and security. But if the NSA wanted to track you and your activities, there is very little the VPN service provider can do to make you completely anonymous to them. Also, a VPN service doesn’t prohibit online tracking of consumer choices by marketing companies. These are some very sophisticated technologies, sometimes referred to as “cookies” and “browser fingerprinting”- a protection that is not offered through a VPN. A VPN service is a multi-purpose tool that can add the much needed component of privacy and encrypted tunneling that would certainly safeguard against major hacks and data breaches. It’s also a very commonly used to today to access geo-restricted content and evade censorship, for which it is ideal. Our fascination with thistool remains because of the multiple benefits it offers to freedom and privacy advocates around the world.